It takes dedication, resolve, talent, and guts to actually insist that an iconic single malt change its stripes. The age statement has disappeared on the Macallan 12, 15, and 18 Year Old whiskies, for both the sherry cask and the fine oak ranges. 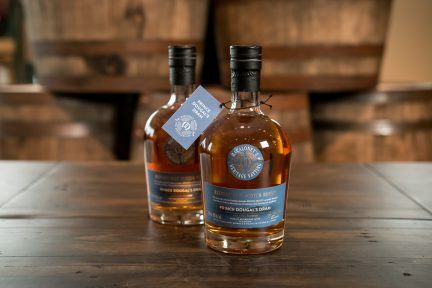 Distillery Manager and whisky maker Bob Dalgarno decided, over time, that the age statement was not as accurate a quality factor as the actual colour of the precious liquid inside the bottle. 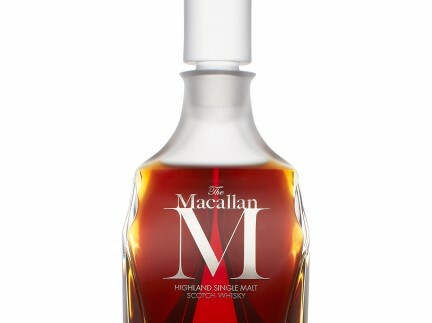 The Macallan famously does not use any caramel colouring, so now, what you see is really what you get. And of course, Dalgarno is able to create whiskies that take into more acute account the varying quality of different barrels. Each one is unique, and some age the core spirit more quickly, or just differently, than other barrels. So, the 1824 Series is born. They are: Gold, Amber, Siena, and Ruby. There are approximate similarities to their predecessors, so, for example, a devotee of the Sherry 12 will love the Gold; a devotee of the Fine Oak 15 will find Amber very much in the same neighbourhood. However, the 1824 Series whiskies are different in an important way. 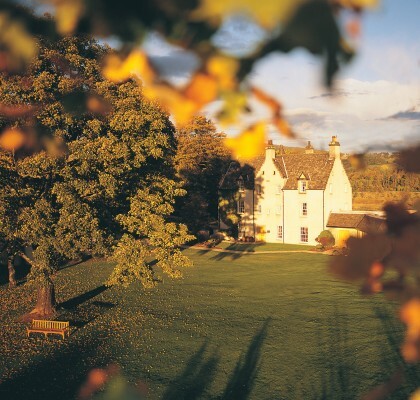 They utilize the entire range of the Macallan barrel program, and the overall result is four whiskies that reflect not only a blend of ages, but of barrel types. So Dalgarno and his team are able to create, on a completely sustainable level, single malts that embody the distillery’s DNA while evolving the palate, and adding a subtle amount of structure and even body to each of these whiskies. 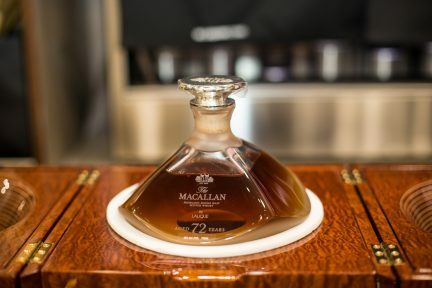 Taste the Gold; it is not in any way a radical departure from any of the Macallan’s 12 Year Olds, but it has a bit more richness, lusciousness even, especially on the attack. And the finish offers up some tantalizing, delightful honey notes that harmonize extraordinarily well with the spicy notes throughout. These four bottles have the to-be-expected prices to accompany them, given the various ages and time it takes to make each one. The Ruby, as a special occasion whisky if there ever was one, has spirits in it that are well in excess of 18 years, but the overall point is that it takes a comprehensive, painstaking, tasting process to create the whisky, to select the barrels from which the overall malt is made. This is, in the grand scheme of things, a bold, brave move for the Macallan. 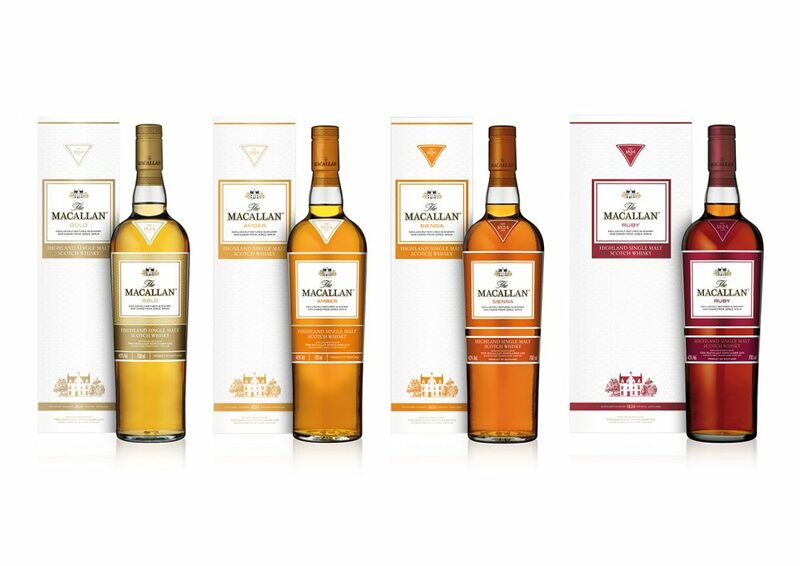 But based on our tasting notes, it should not take overlong for the world’s malt lovers, those who are devotees of the Macallan and those who are not, yet, to establish in their own minds how great these whiskies are.